I had a great time browsing the website of You Said It Cards, there are so many quirky cards to choose from. Each card is more hilarious than the next! What I love most is that it’s not your typical high street kind of cards, they’re rude- very rude and most likely to offend. 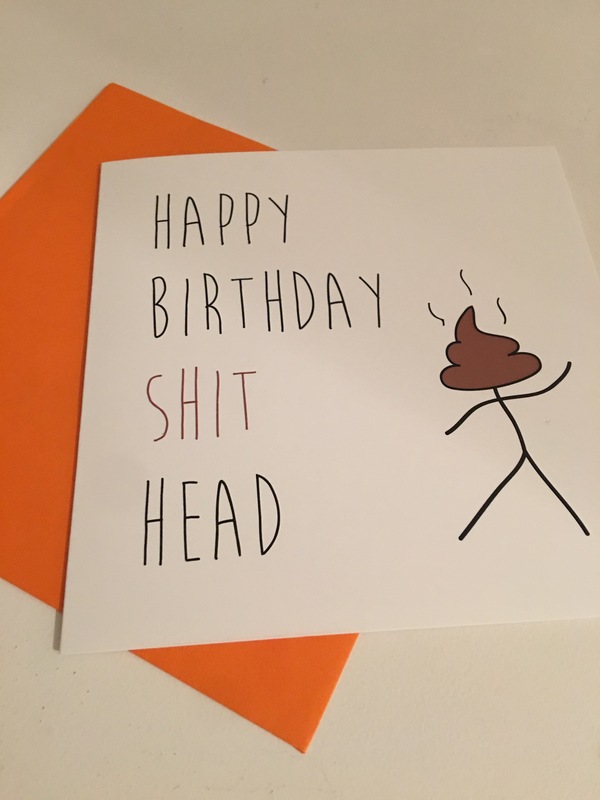 But, we all know someone these cards were just made for! They are a print and design company based in England and I recently got a chance to review their cards. They specialise in hilarious (rude) greeting cards and help “you offend and entertain”. I knew these were for me because I love a good laugh and so does my husband and almost everyone in our circle. I’ve been saving this review because I wanted to wait until his birthday and I didn’t want to spoil the surprise. Since my husbands birthday was coming up, I thought it would be perfect to get him one because I knew it would make him laugh a six pack into existence – I tell a lie, but a girl can only dream… Jokes. First of all, the website was really easy to navigate and use. They have a wide selection of cards based on occasions including divorce – come on?! The delivery time was really swift and arrived in perfect condition. Let’s talk about the product itself. The paper quality is amazing. It has a glossy outer and uncoated inner which is perfect for personalised messages. It’s about 15cm X 15cm when folded and fits snugly into the envelope which is customisable. I was able to choose from a few colours. The cards retail for about £2.99 with shipping priced around £0.75. There’s international shipping but prices vary. 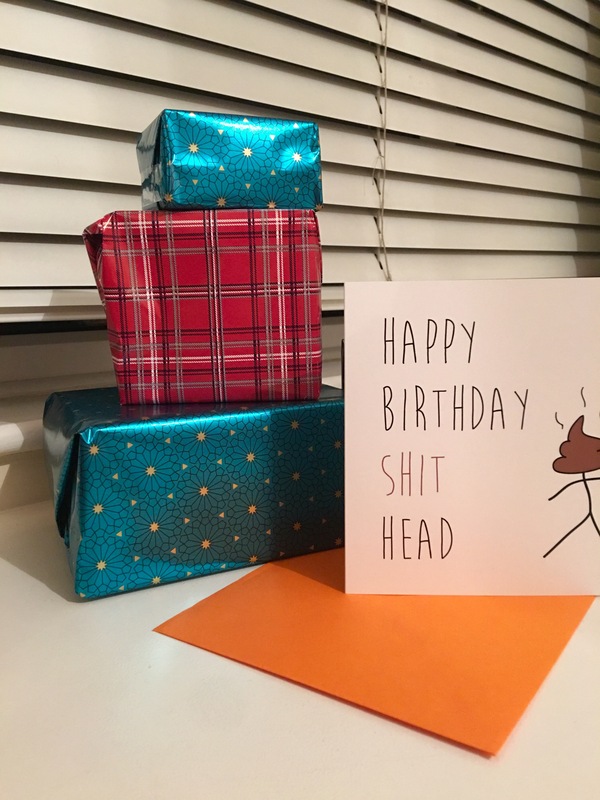 What I really loved is that you’re able to add text to the card for an extra £0.75 and have it delivered to the recipient. I left my blank because I like writing something personal. Raj was really impressed with the card. He really thought it was funny. He did say I could have chosen a more “colourful” one, well, there’s still Christmas and many more days to celebrate in the year! Challenge accepted! 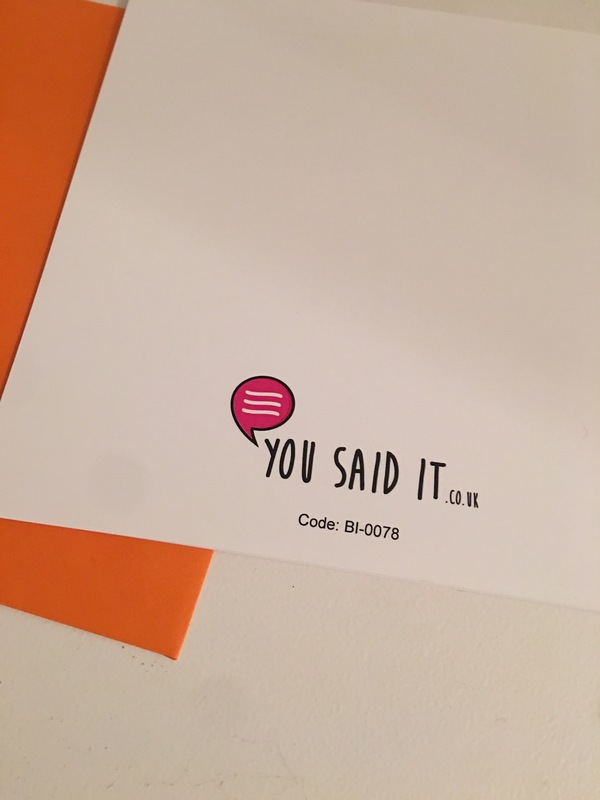 You Said Cards was kind enough to offer our readers 15% off with the code “blogger1517“. These are definitely our “go-to” cards now and we’ve already started picking and carting for our nearest and dearest! It’s going to be a really funny Christmas indeed! And who doesn’t like a good laugh? Who would you send one of these cards too? Disclaimer: We received this product in exchange for an honest review. However, all pictures, thoughts & opinions are our own.